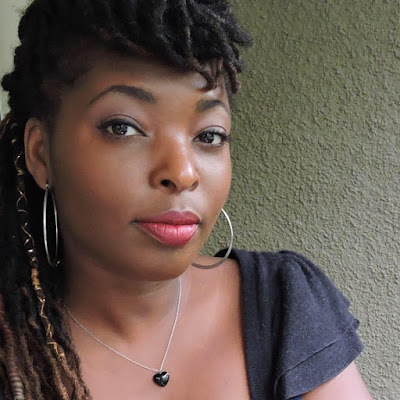 Today we feature New York Times best selling author Denene Millner, founder of MyBrownBaby.com, and director of the Denene Millner Books imprint of Agate Publishing. Enter the giveaway--we will pick 3 winners! Enter to win one of the following books: EARLY SUNDAY MORNING, illustrated by Vanessa Brantley-Newton (Agate Publishing 2017), THERE'S A DRAGON IN MY CLOSET, by Dorothea Taylor, illustrated by Charly Palmer; or CROWN: AN ODE TO THE FRESH CUT, by Derrick Barnes, illustrated by Gordon C. James. You are a successful blogger (MyBrownBaby.com) and a New York Times best selling author of books for adults. 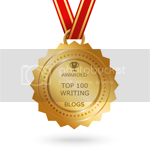 Tell us about your writing career and how you came to write for children. I started my career as a political journalist with the Associated Press and, later, the New York Daily News, but eventually transitioned into being a magazine editor, which led me to Parenting magazine. I took that job because I was a mom of two young girls and incredibly interested in childhood development because I was watching it up close and wanted to be a good mom in every way—thoughtful about the way I parented my children. I found a few favorites—Faith Ringold’s TAR BEACH, Ezra Jack Keats’ WHISTLE FOR WILLIE, Vera B. Williams’ MORE, MORE, MORE, SAID THE BABY, Debbie Allen’s DANCING IN THE WINGS. But books that celebrated the simple, beautiful humanity of Black children—sans telling stories about overcoming blackness—were too few and far between. Black children believe in the tooth fairy, get scared when they contemplate their first ride on the school bus, look for dragons in their closets, have best friends who get into mischief with them; in other words, they have the same universal childhood experiences that any other human revels in as a kid. Black children deserve to see themselves reflected in those kinds of stories. So I started writing some on my own, hoping that my success as an adult novelist would open the door for my children’s books. While I was hired to co-author and ghostwrite a few children’s picture books (I co-authored Holly Robinson Peete’s MY BROTHER CHARLIE and another book for a civil rights icon), a Scholastic Candy Apple book (MISS YOU, MINA), and a teen series (HOTLANTA), I just couldn’t get any editors to purchase my ideas for my own picture books. So they just sat on my computer for, literally, a decade before they found a home on my own imprint, Denene Millner Books, in partnership with Agate Publishing. Congratulations on your picture book, EARLY SUNDAY MORNING. What inspired you to write this? Thank you! I wrote EARLY SUNDAY MORNING sometime in the early 2000s, when I first started taking my babies to church. Dressing them up in their Sunday best reminded me of the ritual of getting ready for church when I was a little girl—which of course started on Saturday, when my mom would wash and style my hair, maybe buy me a new dress, rehearse Bible verses for presentation at Sunday School and the like. I wanted to chronicle that ritual for children, whose parents would be familiar with it. But I couldn’t get any publishers to bite. Rejection after rejection came with notes that they didn’t necessarily understand the premise of the story, which was rooted not only in the Sunday getting-ready-for-church ritual, but also the nerves a little girl has to overcome to sing her first big church solo. For the life of me, I couldn't understand how those publishers couldn’t see the universal appeal of the story; at it’s root, it’s about a child, the closeness of her family and community, the nurturing that comes with it, and what it takes for a child to find her voice and be brave enough to use it in front of a crowd. The church angle is a bonus, particularly in a country that’s full of people who go to church, no matter their color. With their children. What’s there not to believe or understand? This is a universal story. A beautiful story. One that shines a light on themes that strike familiar notes for all children. 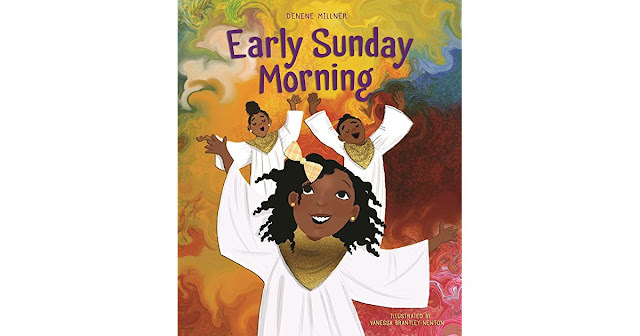 You started your own children's imprint, Denene Millner Books. What prompted you to develop this imprint, and what are some of your first books about? My husband [writer and co-author Nick Chiles] wrote a book with Agate Publishing, which is the parent distribution publishing company that now houses my imprint. The editor-in-chief of Agate Publishing [Doug Seibold] came to Atlanta and took us out to dinner. I showed up thinking, “I wonder if I should talk to Doug about starting a children’s imprint. What would he think about that?” And Doug came to the meeting thinking, “I want to talk to Denene about what she would think about leading a children’s imprint.” So we both showed up to the table with the same thought, ready to ask the same question. And so it was very, very serendipitous that it happened. It was something that we had been thinking about for about 18 months and then finally pulled the trigger. Denene Millner Books aims to add to that small but important canon of books that celebrate the humanity of Black children, and so the first books on the line fit into that theme. MYBROWNBABY: ON THE JOYS AND CHALLENGES OF RAISING AFRICAN AMERICAN CHILDREN is a parenting book meets parenting memoir—a collection of essays on child-rearing and my own motherhood journey as chronicled on my parenting website, MyBrownBaby.com. 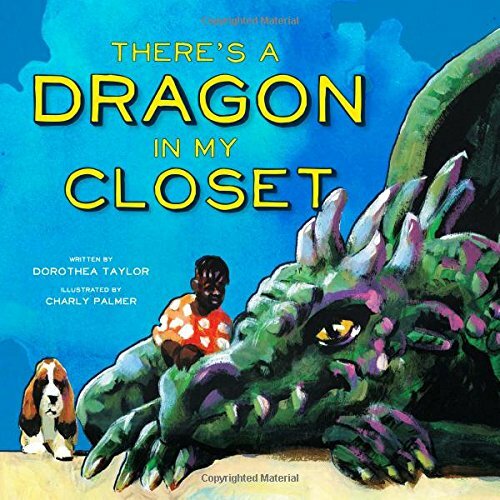 Then there’s EARLY SUNDAY MORNING, plus two other beautiful children’s picture books, THERE'S A DRAGON IN MY CLOSET, by Dorothea Taylor, illustrated by Charly Palmer, about a mischievous little boy who blames his shenanigans on the dragon that lives in his closet, and CROWN: AN ODE TO THE FRESH CUT, by Derrick Barnes, illustrated by Gordon C. James, a pure, unadulterated celebration of the joy a Black boy feels after he gets a hair cut. All shine a light on the beauty of the every day joys of Black children. I’m so proud of these works! Do you take submissions for your imprint? If so, what types of stories are you looking for and where should authors query you? Yes, absolutely, I take submissions. I’m on the look out for beautiful pieces of art—from board books on up to young adult fiction and non-fiction. All is fair game, so long as the stories highlight the beauty, complexity and humanity of Black children beyond the typical Civil Rights/jazz icon/slavery fare usually shoved our children’s way. I am developing and writing a children’s mystery series for tweens, and editing books for the 2018 line-up, which includes a beautiful board book called WHAT IS LIGHT, by Markette Sheppard, a TV news personality out of Washington, D.C. That book is gorgeous in every way, but in particular because it celebrates the light children see everyday surrounding them—in the sky, in the flight of a butterfly, in the arms of mom, in their own eyes. It’s just the kind of book I wished was around when I was reading board books to my own children. It is so very beautiful. Beyond the children’s books, I am working on a few adult projects, one scheduled to publish next year, and another that is being developed. I also co-host a television talk show on Georgia Public Broadcasting, called “A Seat at the Table,” on which my co-hosts and I talk about Black women and the subjects that are important to us. I’m also a prolific freelancer and I still write occasionally for my parenting website. I’m busy! 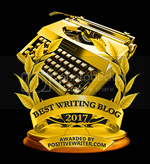 How has writing for children differed from writing for adults? How are they similar? Well, of late, my adult works have been focused mostly on celebrity memoir, so that’s a process that’s completely different from writing a picture book for children. The adult memoirs involve me interviewing a person about her life, organizing those stories, and writing them in a form that’s relatable to readers. Still, there are many similarities, the biggest of which is that each draws on memories and emotion to relay a story and really get the reader to connect to it. I know this much: writing for children is so much harder! It’s a cardinal sin to talk down to them in the copy; still, it’s important to connect to them where they are and for who they are, which is children. As an adult, that’s not the easiest thing to do. I spent a lot of time studying books that I really connected to as a writer, and that my daughters really connected with when I read to them as children, and focused hard on creating characters, settings and a story that are relatable and speak to the heart. Study your craft and write. Write everyday like your very breath depends on it. It is the only way to get better, but also it is the only way to faithfully create your art. Everyone has a great story in them, but it takes dedication, commitment and mettle to pour that story out onto the page. Don’t be scared; just write it, if for no one else but yourself. How can authors and illustrators submit to the Denene Millner Imprint? One of my dreams in life is to see the northern lights, and in my next life, I will be a deejay and interior designer because music and beautiful spaces make me so very happy. I am @mybrownbaby everywhere, plus @denenemillnerbooks on Instagram and Facebook. Thank you this insightful interview. I loved getting to know more about Denene and her work. 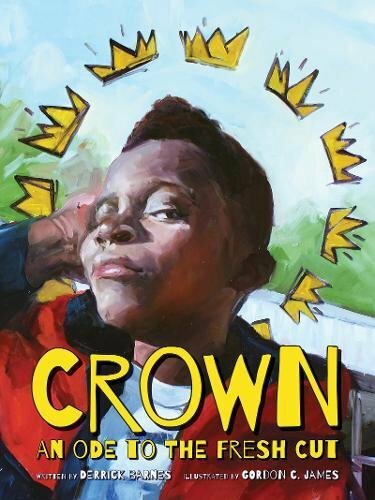 Early Sunday Morning and Crown are great picture books. I'll check out the other books she noted too. As mom to a son with autism, I'm delighted to learn that you worked with Holly Robinson Peete on MY BROTHER CHARLIE. Such a great book and one that I often recommend to schools and families. Best wishes for continued success with your imprint! Great dragon! Looks like a fun book! I enjoyed reading this interview and learning about your background, Denene. EARLY SUNDAY MORNING looks like a delightful book! Congratulations,Denene! Thank you for sharing your journey and best wishes on your imprint.